After sharing the first renders, 360-degree video and some specs of what could be the upcoming Motorola devices called the Moto G8 and the mysterious Moto device with four rear camera setup. Popular tipster OnLeaks have now shared renders, 360-degree video, and some specs, of a new possible Motorola device. The new device which he thinks might be launched as a successor to Motorola Moto P30 Play and thus, as the Motorola P40 Play. 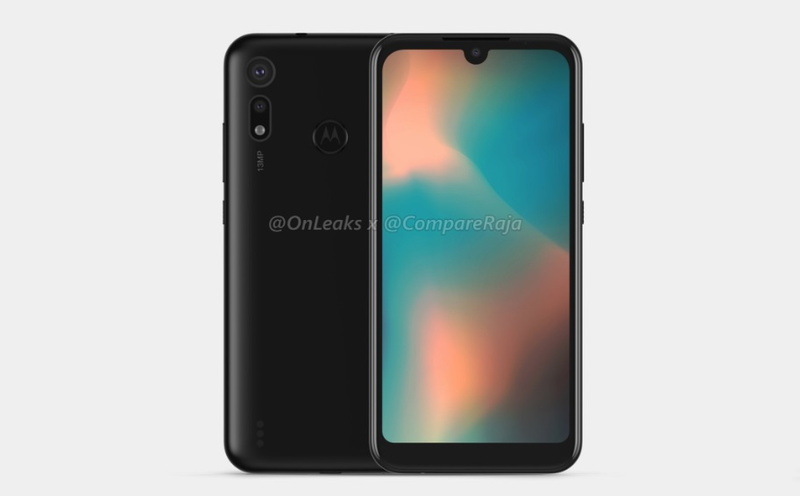 The render images of the upcoming Motorola P40 Play shows the device to sport a vertically staged dual rear camera setup, including a maint 13-megapixel camera with LED light. The possible Motorola P40 Play also appears to have a physical fingerprint sensor at the back. We can also see the speaker at the bottom left side. Other details include a 5.6-inch display with waterdrop notch and 47.7 x 71.5 x 9.2 mm body dimensions. On the right side of the Moto P40, we find the power button and the volume rockers while the left side there is a SIM card slot. The device also appears to have 3.5mm headphone jack on the top edge and the USB Type-C port at the bottom edge. For its launch date and availability, there are no official details available as of now.